The Centaurs (Troop D (Air), 3d Sqdn, 4th Cav and Troop F (Air), 4th Cav) will be gathering for their 16th Annual Veterans Day Reunion during the 9 - 12 November 2019 period. Anyone who served as a Centaur or is a Centaur Friend is invited to join us in Bowling Green, Kentucky to honor our lost friends & renew old friendships. 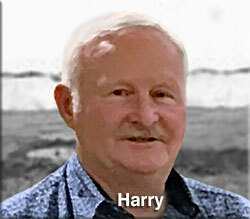 The host for this year is Harry Rogers, LOH Scout Crew Chief 1972. The estimated room rate is $100.52, including tax. Harry will be setting aside a block of rooms for the nights of 9 - 11 November, so plan on arriving Thursday, 9 Nov, & departing on Sunday, 12 Nov.
One of the biggest challenges in hosting a function like this is estimating the number of people attending. Rooms need to be blocked out, meals and travel arrangements need to be coordinated, etc. If you think you might be able to attend, please send Harry an email so he can do a probable attendance list. The Attendance list will be updated on the website and in the newsletter as it changes. Having this list of possible attendees can help to encourage others to come. Most people like to know if their friends are planning on attending, so if they see your name, they might decide to join you.